Michel has more than ten years of experience of working for Taiwan headquartered technology companies. Michel has more than ten years of experience of working for Taiwan headquartered technology companies. He has good understanding of how Taiwan companies work. 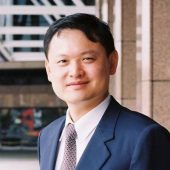 This makes him a unique person when developing European market for Taiwan companies. He plays a very good bridging role between the two sides of the world culturally and professionally. Besides, he has good account management skills. I recommend Michel to those Taiwan companies who wants to recruit a person for developing European business.